If you are in Edinburgh (or can get there before September) I urge you to visit the wonderful Celts Exhibition at the National Museum of Scotland – website. Julie and I went last Monday – did half the exhibition in about an hour, had coffee, then did the other half. A marvellous collection of items from across Europe. 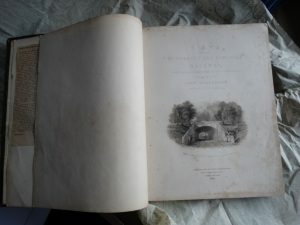 As photography isn’t allowed, here are three photos lifted from websites – both with a Roman connection to fit the (current) theme of this blog. 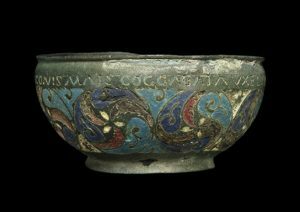 “A souvenir of Hadrian’s Wall” – the inscription on this bowl commemorates some of the forts on the western end of the Wall. Found in (made in?) Staffordshire, AD 130-200. Would the decoration be seen as Celtic triple motifs or Roman scrolling vine patterns? Is this the Roman equivalent of my “I walked the Wall” t-shirt? 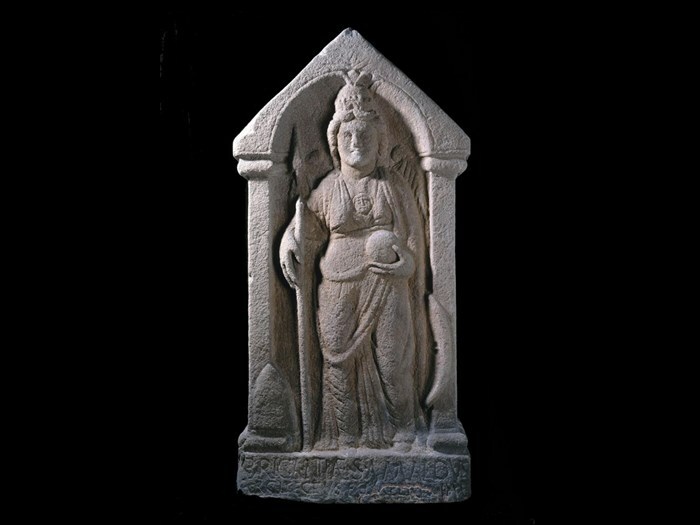 This sculpture of a goddess was found in a shrine outside the Roman fort at Birrens in Dumfries and Galloway. The inscription records that it was commissioned by Amandus, a military engineer, and dedicated to Brigantia. AD 120-180. 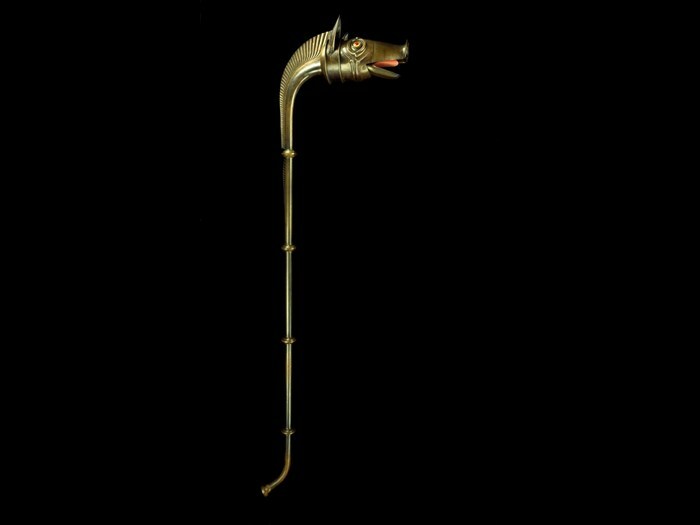 This the a replica of a Carnyx – an amazing trumpet. We saw similar ones in a cavalry festival at Corbridge, but they made their noise by the wind blowing through the mouth as the horseman charged (what were they called? Dracos – see my blog on Segedunum). This one is blown like a trumpet. Imagine the noise. Tomorrow (Saturday 18 June 2016) I am showing my final Railway Films, my favourites. “Night Mail” and another Royal Mail film which includes the plane landing on Barra. 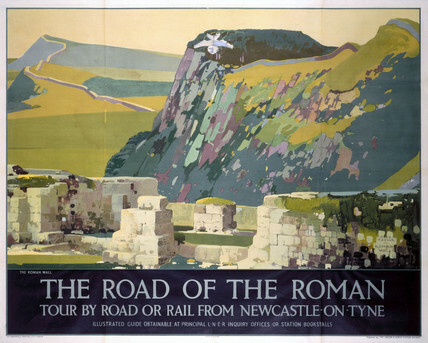 “Any Man’s Kingdom”, the beauty of Northumberland. 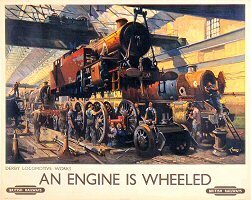 A Railway Roundabout piece about the Cromford and High Peak Railway, and we’ll visit the Scottish Highlands. 3 pm and 7.30 pm in St Mary’s Church Hall, Thornhill Road, Ponteland, NE20 9PZ – admission free, doughnuts in the interval, donations to the British Heart Foundation. All welcome. Next Wednesday (22 June, 7.30 pm, again in the Church Hall) I am giving my talk on John Wilson Carmichael, the Victorian maritime artist who also painted the railways of the North East (especially the Newcastle and Carlisle Railway). 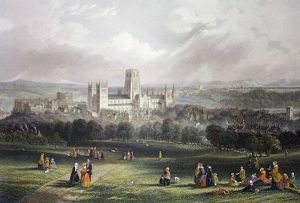 Here is his lovely painting of Durham Cathedral. My final service at Milbourne is this Sunday (19 June) at 11.15 am. Choral Evensong in St Mary’s at 6.30 pm will be followed by a glass to celebrate. 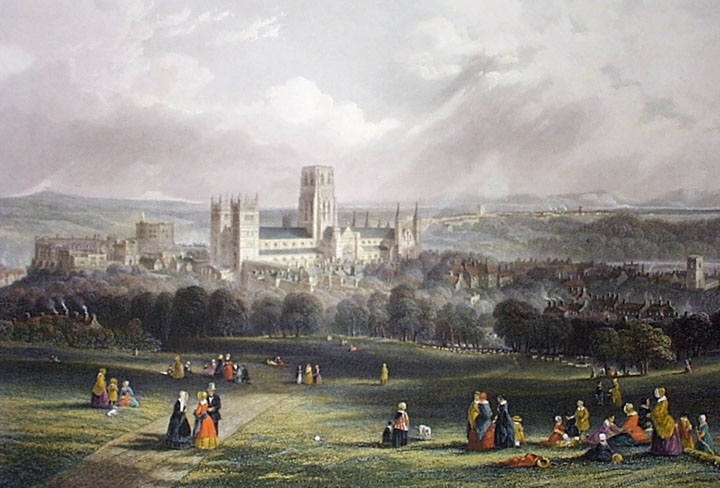 On Sunday 26 June we have one Farewell service at 10 am in St Mary’s, followed by brunch. I should (on 27 June) record my thanks to my lovely congregation who were incredibly generous. Their gift included the original 1832 copy of Mr Carmichael’s Newcastle and Carlisle Railway book. We move to Derby on 5 July, and my licensing is on Thursday 21 July. This entry was posted in Derbyshire, Hadrian's Wall Walk, Northumberland, Personal, Railway interest. Bookmark the permalink.